Australian David Terence Meekin (1886-1966) was responsible for bringing Ubangi Chilliwingi as a touring performer in Australia and New Zealand. 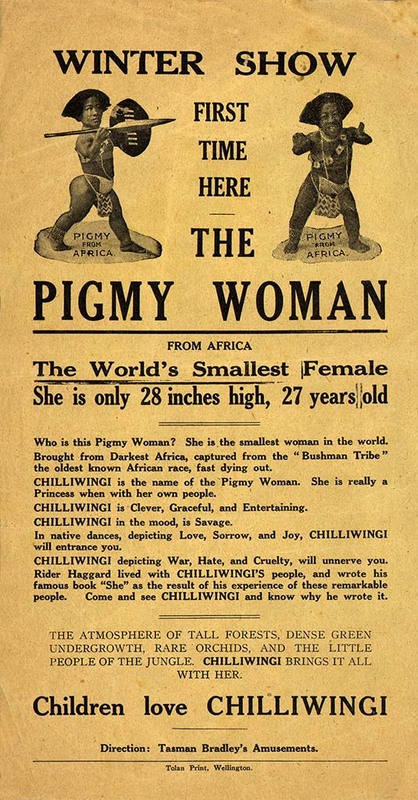 She was a pigmy woman from Cape Province, 28 inches tall at 27 years old when she performed in Wellington in 1929. 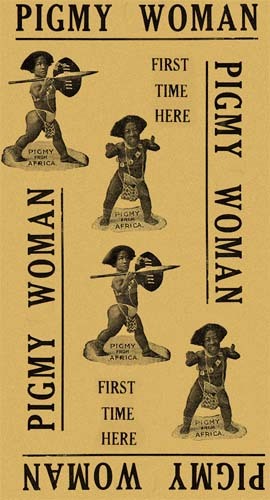 She and Meekin formed a commercially successful association over a generation, engaging a pigmy troupe and returning with them each year to Africa when their vises expired. They then re-signed any available performers. When Meekin died a widower in 1966, his daughter persuaded the Department of Immigration to allow Ubangi to live with her on the Gold Coast, Queensland.